More experimnts with glass and it's magnifying effects. 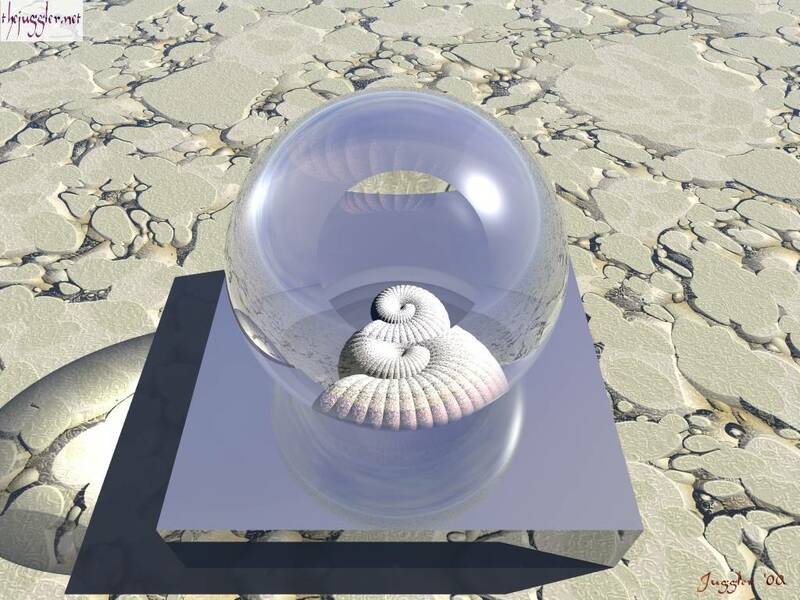 The shell inside the paperweight was created by multireplicating a torus, and scaling it with each new replication. Adding the Mother of pearl style texture with a large bump map and you could almost have picked the shell off the beach!